If you’re looking at a hefty shopping bill, we’ve got tips to help you tackle it. If you’re facing the New Year with a new chunk of holiday debt, you’re not alone. 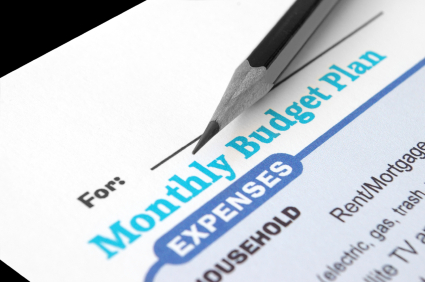 January and February bring a 25 percent increase in the number of people seeking help managing their holiday bills, according to ABC News. So if you’re trying to figure out how much to pay on what, and when, the first thing you need is an honest budget, said Gisela Shanahan, CPA, CGMA, Air Force wife and Army mom from Monument, Colo. Outline what you have to pay on contract (rent, car payments or other recurring monthly costs), then take a hard look at your discretionary costs. Shanahan says food and groceries actually count as discretionary spending because you can find ways to decrease that expense. From there, you can see what you have left to pay down those holiday bills. Take a look at any debt or line of credit that’s not on a contract – layaways, store credit cards, bank credit cards, etc. Start paying as much as you can on the bill with the highest interest rate. Interest adds up. Most people take about six months to pay off holiday debt, Shanahan said. Shoppers in 2011 each spent an average of $704.18, according to GoBankingRates.com. At a rate of 12 percent over six months, that adds $84.50. If you have a spouse coming home from a deployment, take advantage of those return benefits. Fight the urge to splurge on a new car or other major expense and pay down your bills, Shanahan said. If you’re due to move, you can take advantage of those financial benefits to pay down your debt, Shanahan said. The payback is interest-free over 12 months and taken automatically from the military paycheck, she said. There’s no credit check, just a single form to fill out at your base’s finance office. You can also take that money and put it in a savings account where you’re the one earning interest, she said. Shanahan suggests you use what you learn this year about your spending to plan for next year. Consider whether your spending is reasonable, then plan ahead, starting today. You can also buy prepaid credit cards and stash them for holiday spending, she said. Beware of seasonal offers. Some cards will promise to defer interest for a period of time, which is great if you’re disciplined enough to pay it off. But if you don’t, those offers typically charge you interest that is accrued back to the date of purchase on the entire balance, even if you’ve paid most of it off. Also, AAFES may have holiday specials if you sign up for a new Military Star card, but that card typically carries a higher interest rate than other credit cards, Shanahan said. “If it’s not something you can pay cash for, don’t fall into the trap of that special by putting it on the card,” she said. But you will save money shopping on base, even if it’s just sales tax. If it’s not something you can find locally, check out the AAFES website for good deals. You may also find savings via Military.com and USAA, Shanahan said. You can also find people on base who can help you get control of your finances, Shanahan said.